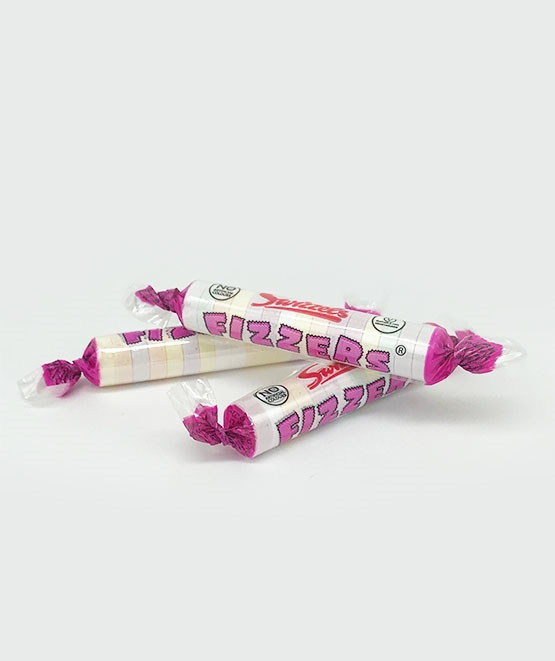 Fizzers are a fun and fizzy treat that give a sour sherbet taste as they melt on your tongue. We think these individually wrapped sweets are great for kids because they help to keep sticky hands at bay. Bulk buy for your next children’s party so there’s plenty to share. Ingredients: sugar, acidity regulator: malic acid; stearic acid, sodium bicarbonate, modified starch, magnesium stearate, anti-caking agent: magnesium carbonate; flavourigs, colours: anthocyanin, copper chlorophyllin, curcumin, lutein, paprika extract.